In the ever-crowded IT corridor and its periphery, the common sight happens to be that of commuters waiting for long hours for transport or travelling in over-crowded autorickshaws. The Cyberabad Police will set up a panel that will identify problem areas and come out with solutions. 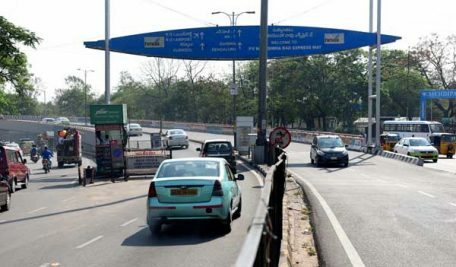 Hyderabad: The Cyberabad Traffic Police will set up a committee to study and identify solutions to the issues of public transportation in the bustling IT corridor. In the ever-crowded IT corridor and its periphery, the common sight happens to be that of commuters waiting for long hours for transport or travelling in over-crowded autorickshaws. Given the safety and security issues, the traffic police have decided to constitute a committee to study the prevailing situation and suggest effective solutions. 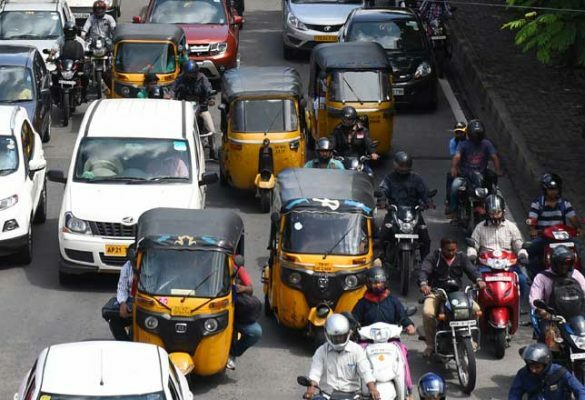 Many IT employees have been regularly complaining about auto-rickshaws being over-crowded in areas mainly from Kukatpally and Miyapur. It is in these areas that thousands of packed autos ply due to an ineffective public transport system. “In recent times, many employees have raised concern on lack of buses on these routes, irregular frequencies and over-crowded buses,” said S Vijay Kumar, DCP, Cyberabad Traffic Police. The police have been getting many complaints on social media too, he said. In view of this, the traffic police recently held a coordination meeting with the Telangana State Road Transport Corporation officials and the Traffic Forum of the Society for the Cyberabad Security Council. The RTC officials, meanwhile, said the issues were due to the routes lacking proper space or provision to stop buses or space to set up bus shelters. The bus shelters occupy the road space and as a result, buses have to stop on the road. RTC officials requested the traffic police to identify proper spots for bus stops and shelters and promised to increase the number of buses and their frequencies too. 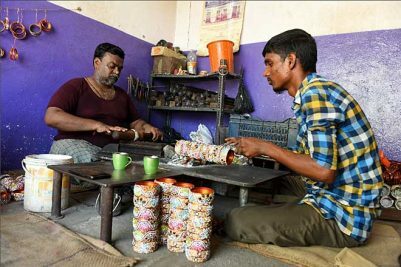 The committee will include Madhapur Traffic ACP, Traffic Inspectors of Gachibowli, Madhapur, Miyapur and Kukatpally, and officials from RTC and Greater Hyderabad Municipal Corporation. them,” Vijay Kumar said. It will have a week’s time to submit the report. The traffic police have requested the RTC to focus on four routes, — Allwyn junction to Gachibowli, JNTU to Biodiversity junction, Lingampally to Gachibowli and Bachupally to JNTU — as lakhs of IT employees take these routes every day.